This evening, Wednesday 30 September 2015, Lambeth's Dr Bike team will be offering free bike checks 4 -7:30pm on Streatham Common, SW16 - on the Southside of the Common alongside Streatham High Road. Come along and get your bike ready for cycling through autumn into winter! The Dr Bike team can fix basic problems, adjust your bike and offer advice on further action if required. In many cases Police will also attend to advise on security and offer a security registration and marking service. The first 25 people will get free bike lights. This Saturday, 3 October 2015, join us for an easygoing ride looking at some of London's historic almshouses. 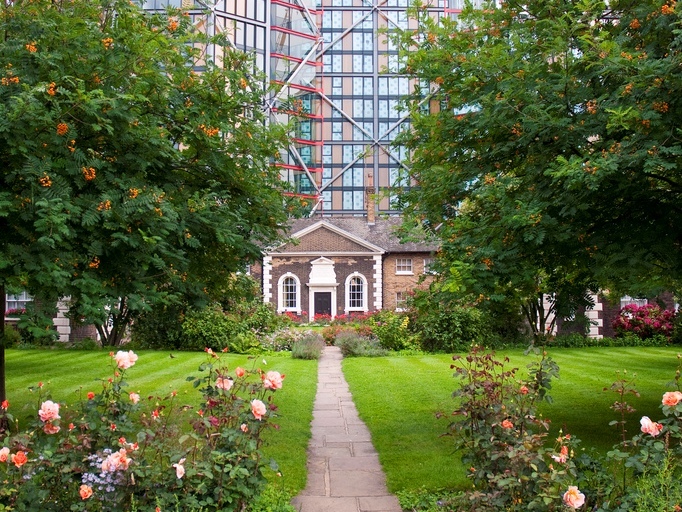 Join us for the second in our series of leisurely rides exploring London’s historic almshouses. Sometimes hidden and very often overlooked, these early examples of social housing were built to provide shelter for elderly people in need. Originally paid for by a mixture of city livery companies, wealthy business men and noble women many survive on the London cityscape today. Some have changed use over the years, but all appear calm and peaceful in our increasingly busy city. This easygoing morning ride will concentrate on almshouses in Chelsea, Victoria and Southwark. Meet Saturday 3 October 2015 10:15am for 10:30 start outside Hopton’s Almshouses, Hopton Street SE1 9JJ. The ride will finish at about 1.30pm at the Royal Hospital Chelsea where there is a café for anyone who would like lunch afterwards. Lambeth and Sustrans will be holding a series of meetings over the next few weeks to talk to local residents about the future of Rosendale Road, Herne Hill and help to shape the proposals. Rosendale Road forms part of Quietway 7 which runs between Elephant and Castle and Crystal Palace. The aims of the Qietways programme is to create a network of low traffic routes for cyclists. More information on Quietways on the TfL website. 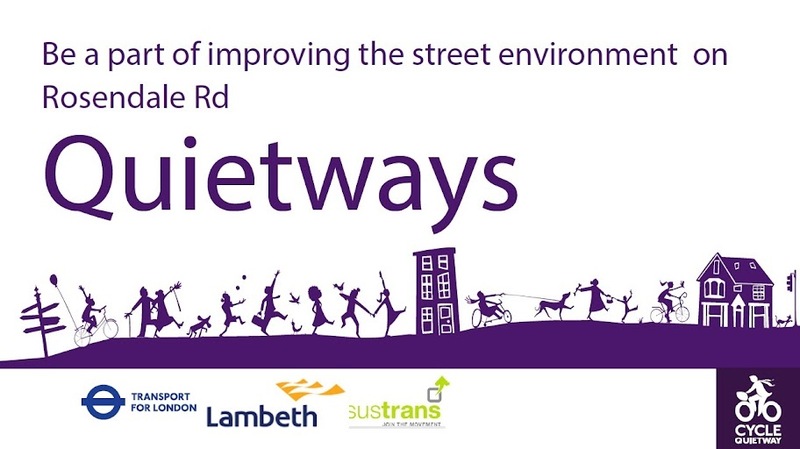 We encourage all cyclists in Lambeth and the surrounding area to attend to give cyclists' perspectivea and ensure that the Quietway is effective in providing a route which is suitable for all, especially less confident, cyclists. This Saturday, 26 September 2015, sees the annual Lambeth Car Free Day. This year a section of Estreham Road in Streatham, near to Streatham Common station, will be closed. Instead of motor traffic there will be a roller disco, pop up playground, a bike market, music, food, Dr Bike and much more. Come along between 12 and 4pm for car free fun! Lambeth Cyclists will have a stall at which we will be promoting cycling in the borough and telling people about our activities. 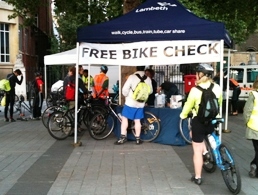 This evening, Wednesday 23 September 2015, Lambeth's Dr Bike team will be offering free bike checks 5 -7:30pm opposite Oval tube station on Kennington Park Road, SE11. 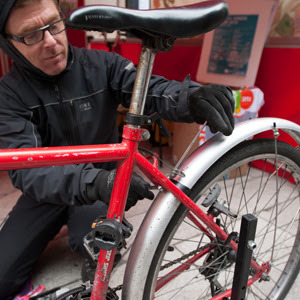 Come along to make sure your bike is ready for autumn and winter cycling. The Dr Bike team can fix basic problems, adjust your bike and offer advice on further action if required. In many cases the Police also attend these sessions to advise on security and offer a security registration and marking service. Brixton Cycles earlier tweeted a link to a film about Car Free Day in 2000, held 15 years ago today on 22 September 2000. The films brings back many happy memories of the day when Coldharbour Lane was shut to motor traffic for the day. Car Free Day from Stephen Folorunsho on Vimeo. 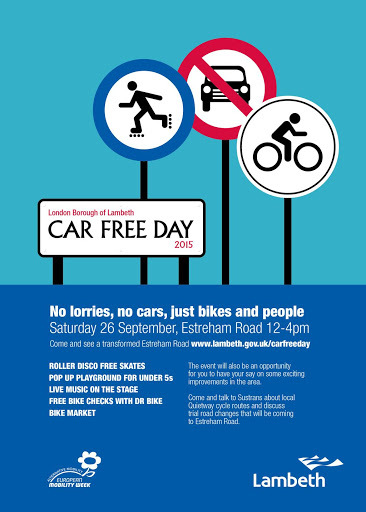 Car Free Day 2015 takes place on Saturday 26 September 2015 when Estreham Road, SW16 will be shut for the day. Look out for the Lambeth Cyclists stall! Our September architecture ride will now take place on Saturday 3 October 2015 rather than 26 September 2015 as previously advertised. 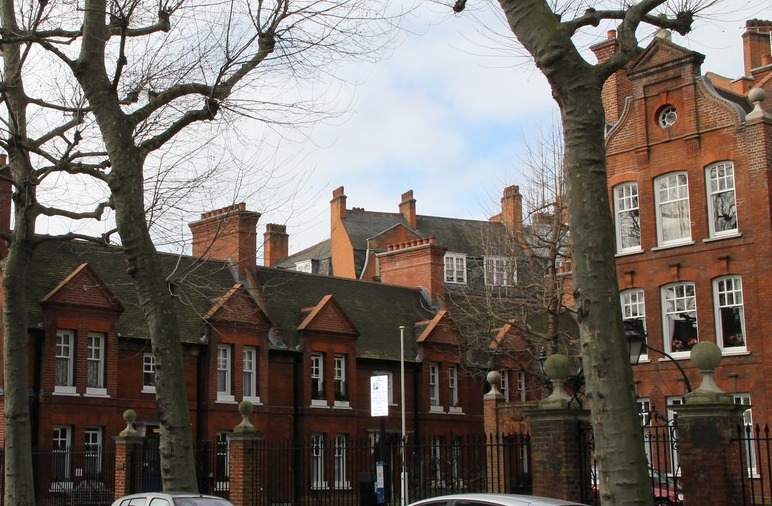 This ride will look at almshouses around London -and will offer a fascinating insight into welfare provision before the advent of the welfare state. Lambeth's Sustainable Transport Team will be running their Dr Bike service this evening, 16 September 2015, outside the James Clerk Maxwell building opposite the Imax Cinema, Waterloo Roundabout, Lambeth SE1 8XT. Come along 5 -7:30pm and get your bike ready for cycling through the autumn. The Dr Bike team can fix basic problems, adjust your bike and offer advice on further action if required. This is also an opportunity to see the view from inside a lorry cab and talk to Lambeth staff about lorry blindspots to avoid any possible problems. In many cases Police also attend these sessions to advise on security and offer a security registration and marking service. The first 25 people will get a free set of emergency lights. We hope you can join us this evening (Tuesday, 15 September 2015) for our monthly meeting 7:30pm at the Stockwell Community Centre, Studley Road, Stockwell SW4. Transport for London. In particular we will be talking about Estreham Road in Streatham where exciting plans are being developed to create a truly cycle-friendly route. We will also be talking about plans to make changes to Rosendale Road as well as hearing updates on the borough 20mph limit, Westminster Bridge Road, New Park Road and Loughborough Junction and Myatt's Fields area road closures and other cycling matters. Looking to learn basic bike maintenance skills? Lambeth's cycle training provider Cycle Confident are now offering one day basic cycle maintenance courses. Held on Saturdays at the Cycle Confident base in Kennington the courses cover the basics of keeping your bike on the road. The courses are available to Lambeth residents and cost £18 for the day.